OVERSTOCKME.COM offers Clinical Accessories for use in: Ambulatory Surgery Centers (ASC’s), Ambulance Services, Air Transport Services, Fertility Clinics, Hospitals, Imaging Facilities, Multi-Specialty Clinics, Private Practices, Urgent Care Facilities, Veterinary Clinics and Walk-In Clinics. 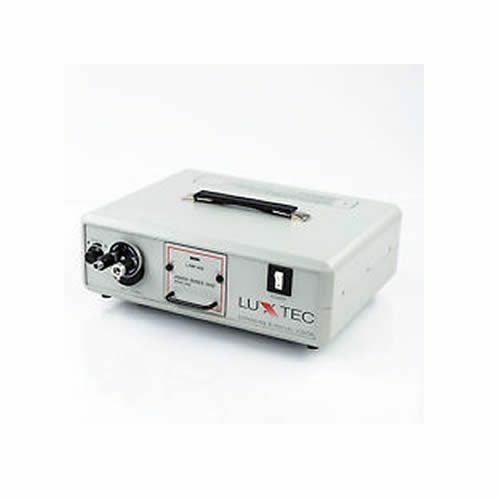 We represent the following manufacturers for Surgical Headlight Systems: Integra / Luxtec – 9300XSP System, MLX-300 System – Refurbished, Integra / Luxtec – LED System – Refurbished, Cool-View – 1400XL or XLT LED System – NEW, Welch Allyn – LED System – New or Refurbished, Cuda – Surgical Headlight Systems – New or Refurbished, Cuda – LLS-900 LED Surgical Headlight System – NEW, and IsoLux – LED Surgical Headlight System – New or Refurbished. 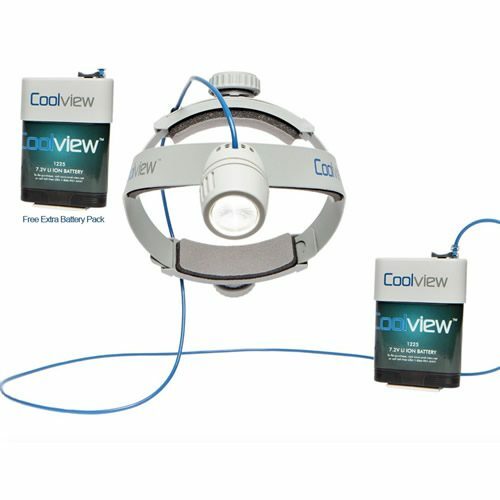 Our experts at OVERSTOCKME.COM will work with you to find the Surgical Headlight that meets your needs that is reliable, cost effective, easy to use and provides the options you require. We offer both new and refurbished Surgical Headlights. Call today. We are happy to assist you and answer any questions you may have. (800) 989-4909. Surgical Headlight Systems are medical devices specifically designed to provide additional high intensity lighting during a procedure. 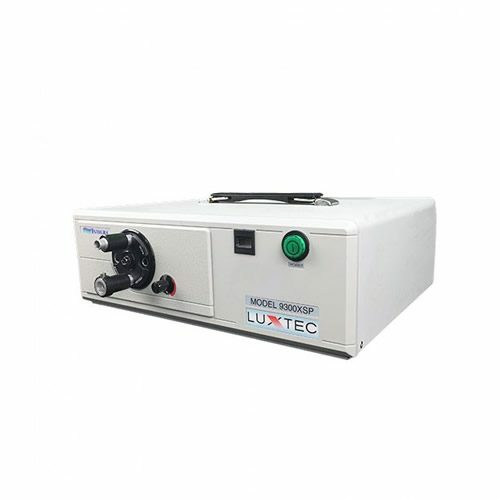 These units can be used for simple Dermatological Exams or Procedures or during surgery where additional light is required for better viewing in bloody conditions. 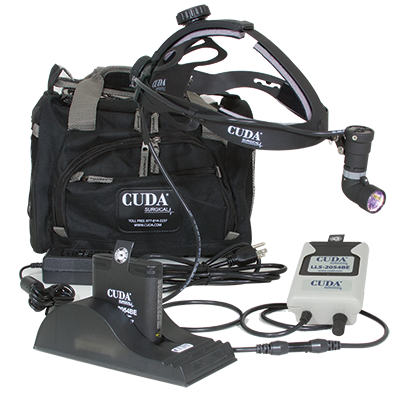 The applications for using a Surgical Headlight System are nearly limitless. Today, Surgical Headlight Systems come in two forms; most often is the traditional surgical grade light source which connects to a fiber optic cable and attaches to a crown worn by the operator. This will emit a high intensity light wherever the operator is looking either on the patient’s skin or in a surgical cavity. The crown is equipped with a light module that can adjust the size of the light or (focal field). The intensity of the light is controlled through the light source either through a rotating knob increasing or decreasing the light output or through the use of buttons. These types of units are usually mounted to a dedicated mobile stand which can move around the working field as the operator moves from position to position around the patient. 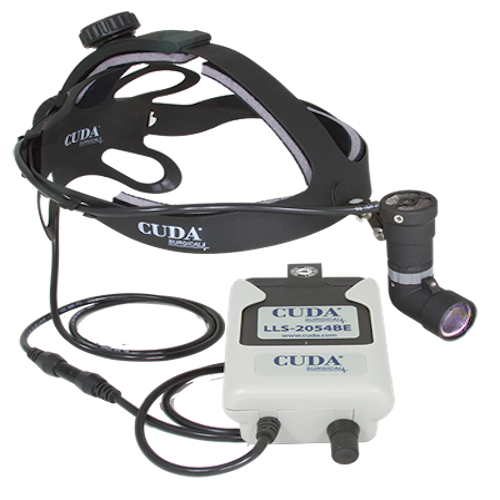 The higher quality Surgical Headlight Systems currently use a 300 Watt Xenon Bulb to provide near sunlight illumination to the surgical field. Typical life span of a surgical light source bulb is 500-1000 hours and requires a bio-medical engineer to replace. The second type of Surgical Headlight and the more current units are LED Surgical Headlights. They perform similar functions and add the same benefits of the traditional Surgical Headlight, but without being tethered to a light source by the fiber optic cable. 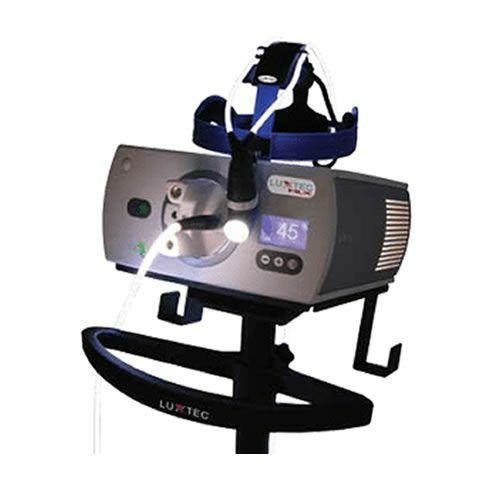 The LED Surgical Headlight uses a single LED or Multiple LED’s located in the light module connected to the operator’s crown. They are powered by long lasting Lithium Ion or similar batteries. The batteries are connected to the crown by a power line connected to a holster worn by the operator and located on their waistband. The batteries are rechargeable and can be swapped out as needed when the battery power deteriorates. Another version of the LED Surgical Headlight is the Stallion. This Surgical Headlight also uses batteries but are directly connected to the crown worn by the operator, calling this system the “Wireless LED Surgical Headlight System”. The typical life span of an LED bulb is 50,000 – 100,000 hours and requires the manufacture to replace. The crowns or headbands come in various types. Most common is the rigid crown with multiple adjustment points to provide the best fit and feel for the operator’s comfort. Another type is the headband or sportband. This is a cloth material which wraps around the operator’s head and has a single adjustment point for operator comfort. We also offer “Patient Monitors, Defibrillators, Stretchers, Surgical Tables, Surgical Lights, Blanket Warmers and more. Overstockme.com offers the Best Service and Prices Guaranteed!